Having big toys & getting outdoors is part of the American way of life. Make hauling those toys around easier and safer with K Source universal towing mirrors. These large, adjustable tow mirrors can be fit on pretty much any mirror. You can mount a mirror on your right, left or get 2 and mount them on both mirrors. The straps will hold the tow mirror firmly in place so you won't get a bunch of vibration or wind noise. 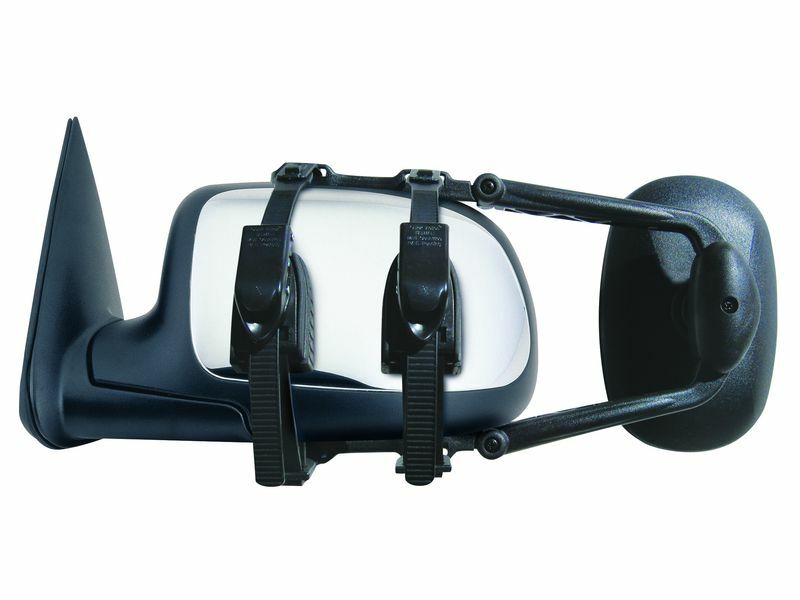 K Source universal tow mirrors are available in 3 different styles so you can choose the one that best fits your need. Improve your line of sight with K Source universal towing mirrors! Universal tow mirrors from K Source simply clip onto your existing factory mirrors. There is no drilling, cutting, or special tools needed. Give us a call if you wan to find more information or if you want to tell us about your t, camper, or whichever toy these mirrors will help tow.